Take 1-71 to exit 17 and you will find the beautiful neighborhood known as Darby Pointe. Construction of Darby Pointe subdivision began in the 1990s. 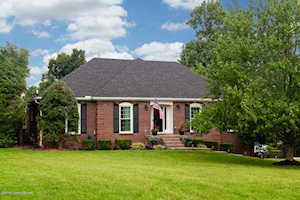 Typically, you will find that homes in Darby Point range between $180,000 to $440,000. The Hollinden Team updates this search for Darby Pointe houses for sale on a daily basis from the Louisville MLS. We would love to help you find your next home. If you want to learn more about our buyers’ experience with our team, check out the Hollinden Team client reviews. Click the map on the left to view each home in Darby Pointe. There is a satellite view button in upper right. On average, these homes have two to four bathrooms and three to six bedrooms. In Darby Pointe neighborhood, you will find a variety of styles of homes. About half of the houses in Darby Pointe are two-story and the other half are ranches. The construction of the homes varies quite a bit. Although it appears that majority of these homes are brick, there is some that are stone/vinyl and wood/vinyl. Darby Point homes usually have a minimum of an acre per lot and plenty of mature trees. Most of these homes include a basement and a two car garage. For grocery shopping, the closest Walmart to Buckner is only a few miles away and is located at 6501 Veterans Memorial Pkwy, Crestwood, KY 40014. There is a Kroger a few miles away from Darby Pointe located at 2034 KY-53, La Grange, KY 40031-9535. The Paddock Shops (formerly known as The Summit) are around ten or eleven miles from Buckner. Saint Matthews Mall is around sixteen miles away. Downtown La Grange is a quaint area near Buckner to shop and dine out. The types of stores you’ll find in Downtown La Grange are consignment stores, wedding shops, antique stores, and clothing boutiques. A few of the restaurants you can find in Downtown La Grange are One Nineteen West Main, Big Rs and Shannons BBQ, and El Nopal. Two great restaurants in Buckner that you should check out are Cornerstone Grill and Frascellis Pizza. Cornerstone Grill serves multiple kinds of entrees including hamburgers, sandwiches, steaks, and fish. Cornerstone Grill is located at 4773 Fox Run Road and is open seven days a week. Frascellis Pizza serves pizzas, gyros, pasta, calzones, strombolis, wraps, sandwiches, and many other options. Frascellis Pizza is located at 4310 W. Hwy 146 and is open Monday-Saturday. 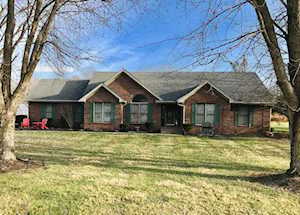 Darby Pointe is located in the award-winning Oldham County Public School District. The following schools are the home schools for Darby Pointe are Buckner Elementary, Oldham County Middle School, and Oldham County High School. If you would like to learn more or have any questions about any of these Darby Point homes for sale, or others in the zip code 40010, just click the "Request More Information" button on any property detail page. The Hollinden Team can provide you with past sale information, comparables, disclosures, PVA assessment, and tax information – we would love to answer any real estate questions you have.